Humans are a little bit like magpies. We’re attracted to bright shiny objects — a sparkling silver earring, the flash of a diamond ring or perhaps a gold medal shimmering on a bottle of wine. Okay, so the latter might be up for debate. 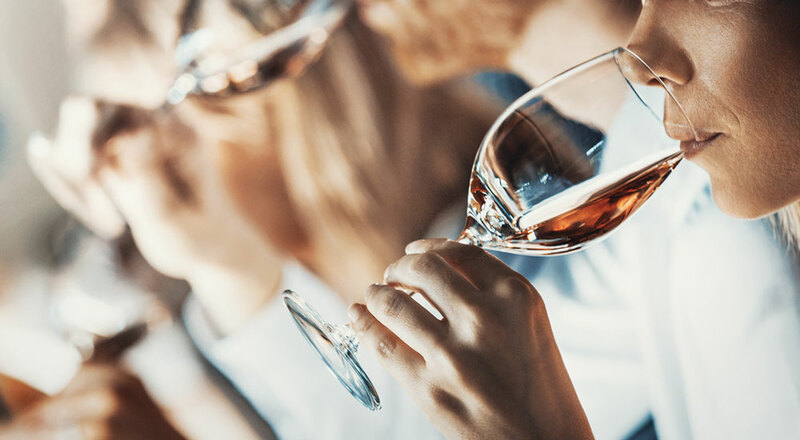 In this rapidly changing world, it’s hard to keep track of what, or who, holds the most sway when it comes to consumers’ wine choices. With the rise of bloggers, celebrity tasters, Instagram and the like, how relevant are wine competitions and their corresponding awards? As someone who judges at a variety of competitions, I question if the time I spend swirling, swishing, spitting and debating is all for naught. Whatever their influence, wine competitions are a going concern. “They’re popping up all over the place,” claims Barbara Philip, Master of Wine. She judges at some of the most prestigious competitions, such as the Decanter World Wine Awards (DWWA) and the TEXSOM International Wine Awards, as well as at domestic shows like the British Columbia Wine Awards and the Judgement of British Columbia. These represent just a fraction of what is out there, with competitions coming in all shapes and sizes. Given the sheer number around the globe, “it’s not that difficult for a winery to get a bunch of awards,’ points out Gurvinder Bhatia, wine editor for Quench, who is equally active on the international judging scene. Whether all of these wine competitions are credible is another story and one directly related to the aptitude of the judges as well as the quality of wine entered. For instance, DWWA brings in more than 200 specialist judges, many with credentials like Master of Wine or Master Sommelier. Such a competition generally attracts top-quality producers who are keen to have highly regarded tasters assess their wines. However, award shows that fail to gather a good average standard of wine still have to select winners, meaning that gold medal winner might simply be the best of a mediocre bunch. “While some people know the difference between the various wine awards, the majority don’t,” says Philip. It is usually just the colour of the medal or the score that lures them in. The judging process also contributes to the validity of the awards, and it varies greatly. Typically, wines are tasted blind so that judges are not influenced by labels. Judges usually work in teams of three or four, though I have been on panels with as many as eight members. Each judge gives their own mark and the final score is an average. “It’s more valuable than an individual score because you have the benefit of several experts agreeing on an evaluation,” asserts Philip. This approach keeps everyone in check and also helps ensure that an elegant, discreet wine isn’t missed, or conversely that an obvious wine isn’t overvalued simply because of its overt personality. “Our biggest fear is that a great wine will slip by,” Philip shares. Australia, which is notorious for the number of shows it hosts, is recognized for its particularly rigorous standards. Judges are well vetted then put to the test. They may receive the same wine blind at random to check if they award a similar score both times. “You need to prove over time that you are consistent,” says Quebec-based journalist Michelle Bouffard who has judged at a number of competitions in Australia, including the McLaren Vale Show and the Sydney Royal Wine Show. Nevertheless, for Bhatia, the format of many competitions is flawed. As wines are often tasted only once by a single panel, he argues that “this doesn’t always allow the best wines the opportunity to rise to the top.” However, having a panel of qualified and consistent tasters, should alleviate this worry. More concerning is his suggestion that less reputable shows might override the blind-tasting results based on the reputation of certain wineries. One of the most common criticisms is the number of awards given out. In a sort of response, Bhatia organized his own competition of Canadian wines in conjunction with the Northern Lands festival in Edmonton. “We only awarded ‘best in category’ and one runner-up so that receiving an award was significant,” he explains. By contrast, many shows give out multiple gold medals as well as prizes for silver and bronze. Collectively, these awards often end up encompassing a large percentage of the wines entered in the competition. Ultimately, the significance of an award comes down to the individual standards of each competition. However, I’d be willing to bet that the silvers and bronzes influence purchasing less for the more expensive wines. In fact, a recent study published in 2017 by the Journal of Retailing and Consumer Services showed exactly that. It also addressed the complexity of the issue, demonstrating that the influence of wine awards depends on the knowledgeability of the purchaser. “Engaged consumers might be more inclined to follow celebrity tasters, such as James Suckling, or rely on wine apps like Vivino,” suggests Bouffard. “Overall, I believe wine competitions play a very small part in the purchasing decisions of consumers,” asserts Bhatia, who has been buying wine for boutique stores in Edmonton for over 25 years. Nevertheless, Philip sees them as helpful. As the category manager for Wines of Europe at British Columbia Liquor Stores, she is in charge of deciding which wines will end up in almost 200 stores across the province. “Consumers need to weed their way through the wines somehow because there isn’t always a product consultant to ask,” she explains. Given the growing number of competitions, wineries clearly must see some benefit if they are willing to pay the fee to enter. In Australia, wine consumers take their wine competitions as seriously as the organizers and judges do. “If you win a medal, the wine sells out,” declares Bouffard. “This is why wineries participate.”” On a global scale, Jim Robertson, Global Brand Ambassador for Stoneleigh, claims that “a Decanter award is leverageable on a commercial basis.” While he can usually make it through the year with supplies of Stoneleigh’s Wild Valley Sauvignon Blanc, he ran out of the 2016 within just five and half months after the wine received a gold. In the end, the extent to which wine awards directly influence sales may be debatable and they may even be regarded with some skepticism. Nevertheless, testimonials from winning wineries suggest that they do have an impact. There are also a ton of talented palates working behind the scenes to keep standards high at the most reputable wine shows. And if, as some suggest, wine competitions have contributed to improvements in quality, well, that is extremely relevant to all of us who like to drink good wine.